Blackheads are a clogged hair follicle (pore), also known as a ‘comedone’. 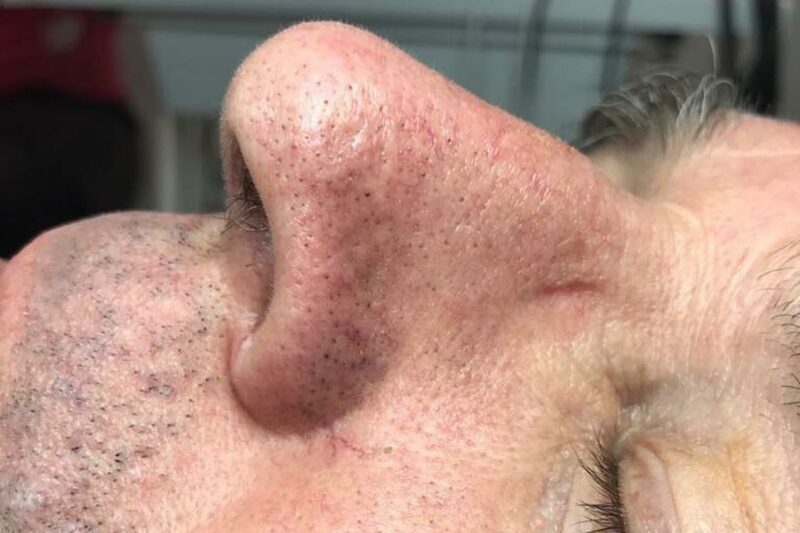 You can get ‘open’ blackheads, named because of their dark or black surface colour and ‘closed’ ones, known as whiteheads, which can sometimes give a bumpy appearance to the skin. How are blackheads (comedones) caused? Excess oil production in the sebaceous gland combined with dead skin cells can cause a follicle to become blocked. Failing to removing makeup or cleanse the skin properly is a major culprit. However, over cleaning or exfoliating can also cause blackheads by irritating the skin. Blackheads are most common on the face, especially around the T-zone and cheeks, although they can be found on the chest or back. What treatments are available for blackheads? We offer a range of skin treatments for removing and eradicating blackheads. Why not book a consultation with one of our skincare therapists. They will examine your skin, pores and blackheads, answer your questions and recommend the best skincare treatments for you. Blackhead treatments are available at both our Kensington and Wimbledon skincare clinics. Suffering from milia? Read more about what the causes are and how we can help here.